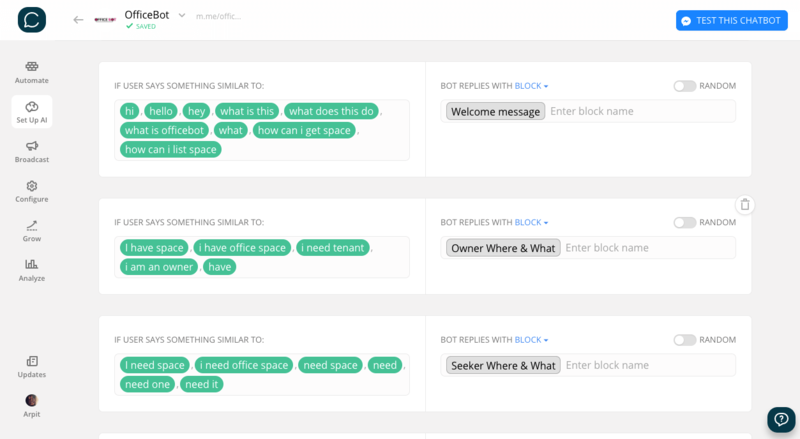 This is a very comprehensive bot with the option to rent full offices, coworking spaces, business centres and serviced offices, all. You can easily send user data to a Spreadsheet/Airtable. Customise it as per what you're selling or opt for add-ons like support and help with integrations. A user can initiate a live chat or request a call back. An email is sent to admin when either happens. All required blocks are pre-built with necessary attributes. A user can leave a custom message which is sent as an email as well as sent to the CRM. Get leads from office space owners as well as seekers. 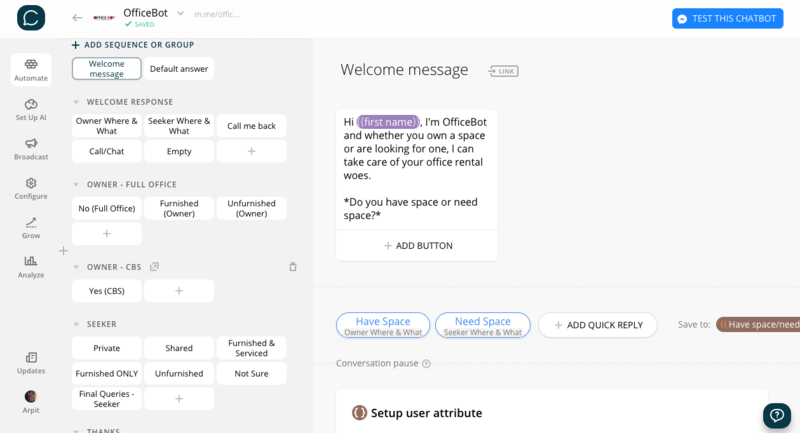 Send the leads to a spreadsheet or a CRM like Airtable.